I’ve been at all time lows this week, but I’m trying out a couple of new kinds of therapy. The first one is called a TENS device (Transcutaneous electrical nerve stimulation). 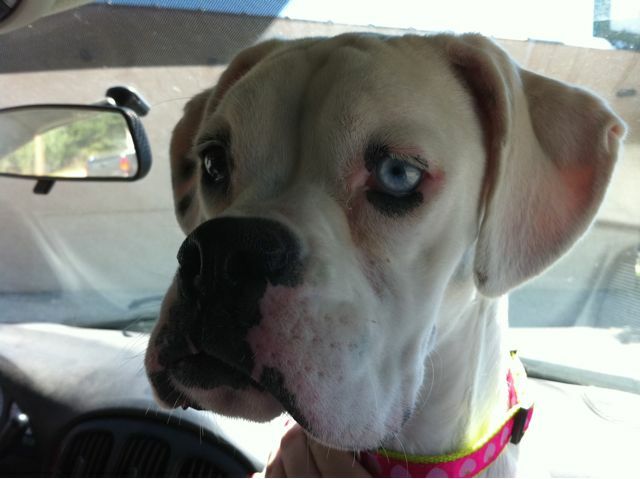 The second is my new doggie, Gracie. She loves to snuggle! Gracie is adorable! Look at that cute face and fashionable collar! Congrats on the new addition to the Campbell family. 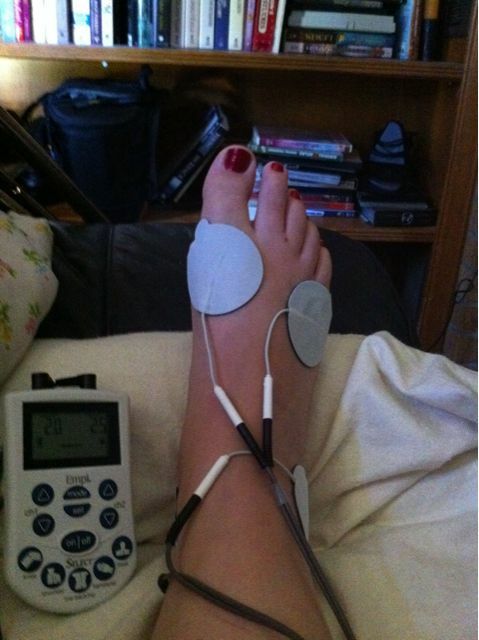 How has the TENS unit therapy been working? Honestly, I can no longer use it. My skin has become so sensitive that the sticky pads hurt to be on my foot and it’s even worse when I have to take them off! Ouchie!! It was very helpful in the beginning, though. I would have it on all day long on some days.